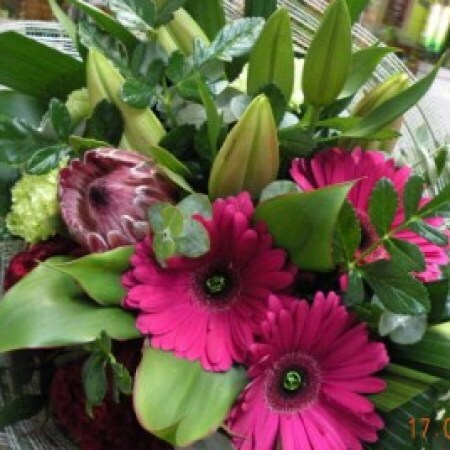 A beautiful bouquet with happy gerberas, long lasting asiatic lilies, alstro, proteas, and full of lush green foliage. A bright modern bouquet that will make a gorgeous impact in any room, office and a wonderful way to say Thank You, I Miss You or Happy Birthday. A unique designer bouquet from Amaranthine Flowers By Design New Lambton, Newcastle, made in store and delivered to your door.